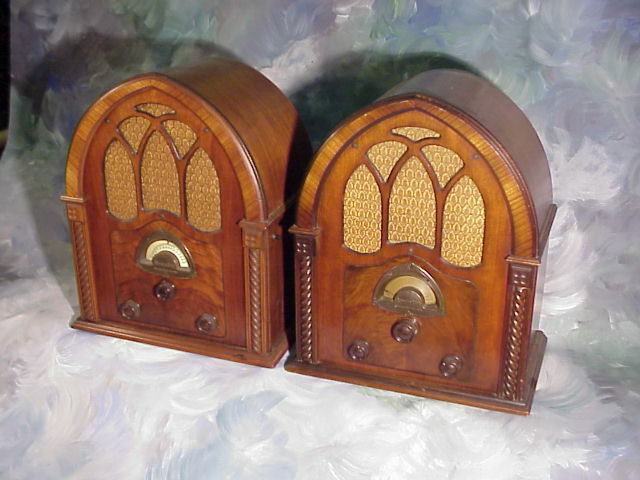 These are a pair of Atwater Kent model 82's. The one one the right is a model 82 that's AC powered, the one on the left is an 82Q, it's a battery set. Both sets are in original unrestored condition. This is a Federal model 61. It was made in 1924.
it has never been used, the paper seal that was put over the tube island at the factory is still in place. No tubes have ever been installed in this radio. Note the orginal inspection tag hanging on the front and the Federal headphones. This "ugly" radio is a Radiola model 1300/1400. 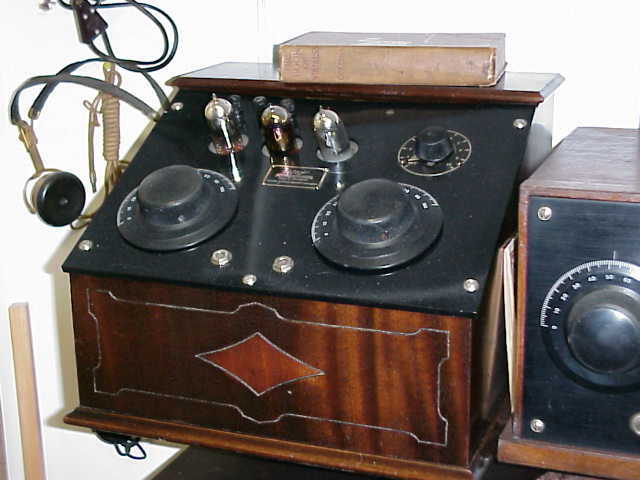 This was the first radio made by General Electric for home use. 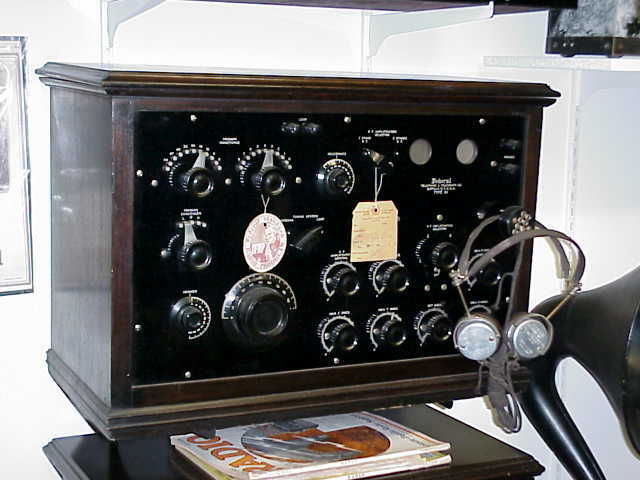 This model was rushed into production in 1922 to compete with the Radiola RC that was made by Westinghouse. This particular set is unusual in that the case is made of Zinc instead Brass like most 1300/1400. I haven't yet decided just how much restoration I want to do to it. 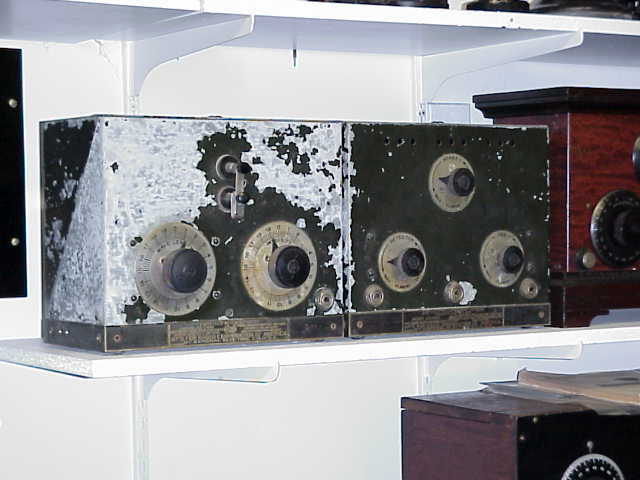 of radios made that had the tubes sticking out of the front panel. This is definitely the most prized radio in my colletion and one of the rarest. It was found sitting on a flea market table at the Charlotte Ham Fest. 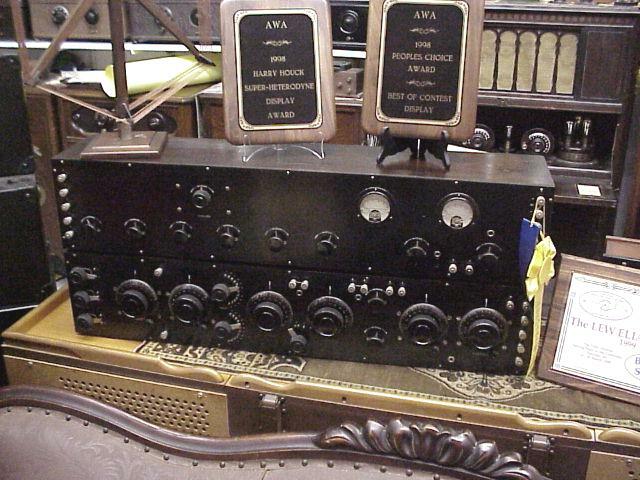 I have done a lot of research on this radio and talked to a lot of collectors and the best we can determine is that there are maybe 5 or 6 of these in existence. I have entered this set in 2 contests, at the 1998 AWA Conference in Rochester NY it won first place in it's catagory plus the "Peoples Choice - Best of Contest Award" and the "Harry Houck - Superhetrodyne Award". 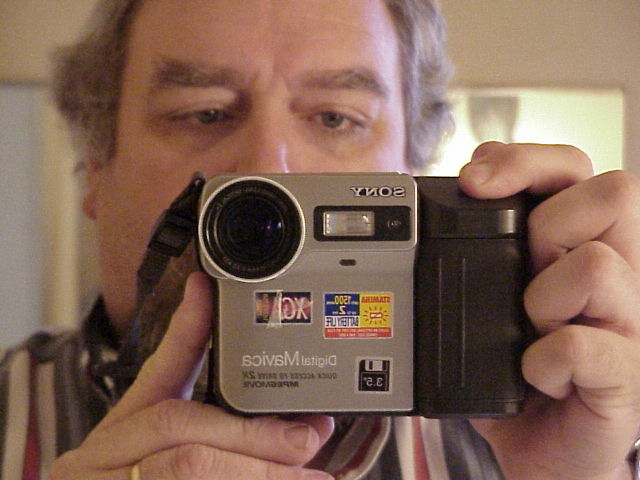 At the CC-AWA "Spring Meet in the Carolinas in 1999 it won a Blue ribbon in the Super-Het catagory, "Best Presentation" and "Best of Show". With the exception of replacing the 2 meters, the originals were destroyed, this set is original. It was taken completly apart and cleaned and then put back together being VERY careful not ruin the old patina.